20th anniversary and fastest ever PicoScope! 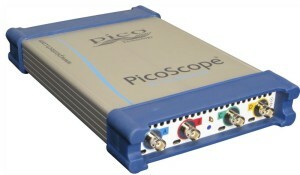 The new four-channel PicoScope 6404 PC Oscilloscope has an analogue bandwidth of 500 MHz. This is matched by a real-time sampling rate of 5 GS/s, which guarantees accurate representation of signals up to the full bandwidth. The scope also has an ultra-deep 1-Gigasample buffer memory that allows capture and analysis of complex waveforms, even when sampling at full speed. Based on Pico Technology’s 20 years of experience in PC Oscilloscope design, this instrument packs more performance and features than ever before into a space-saving USB oscilloscope enclosure. As well as the headline specifications, the scope offers a built-in function generator, arbitrary waveform generator, mask limit testing, switchable bandwidth limiting on each channel, and switchable 1-megohm and 50-ohm inputs. This is in addition to the spectrum analysis, advanced triggering and serial decoding that are already standard features of Pico PC Oscilloscopes. The scope connects to any Windows XP, Vista or Windows 7 computer with a USB 2.0 port. You can use one with a PC to save space on your workbench, or connect it to a laptop to create a portable instrument that’s perfect for field servicing and on-site demonstrations. The high sampling rate and bandwidth makes this scope ideal for analogue and digital circuit designers, test engineers and installers. If you want to write your own application to control the scope or use it as a digitizer, Pico provides a software development kit, including example code, free of charge. The PicoScope 6404 oscilloscope is on sale now, priced at £4,995, or £5,495 for a kit including four 500 MHz compensated x10 probes. These prices include a five year parts and labour warranty. 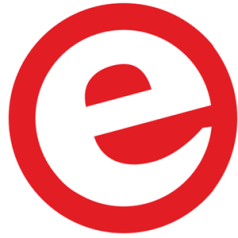 Order from your local distributor or visit Pico Technology’s website.